A Trick-or-Treat for UNICEF participant as a child, when Anjali came to the University of Georgia and saw there wasn't a UNICEF Campus Club, she decided to help found one — and to help engage her community in urgent child health issues. Anjali Nair is a second-year student at the University of Georgia (UGA), majoring in health promotion and minoring in Arabic. She is also one of the founders and co-presidents of UGA's UNICEF Campus Club, part of a growing grassroots movement rooted in a belief that college students have a vital role to play in helping the world's children survive. For World Immunization Week 2018, UNICEF USA sat down with Anjali to learn more about her sense of global citizenship, and what motivated her to become a campus advocate on child health issues and vaccination. 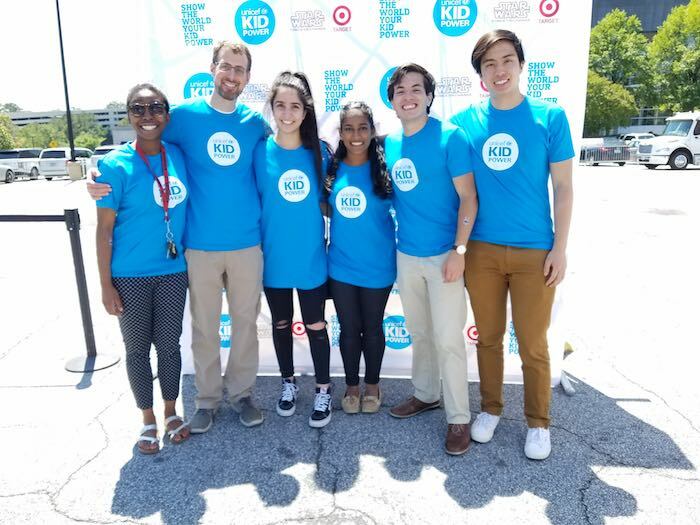 Anjali and other members of the University of Georgia UNICEF Campus Club volunteer at UNICEF Kid Power Day in Atlanta. Q. What are you studying at UGA and what classes are you taking? "At one point, I thought I wanted to go to medical school and study genetics. But, two years ago, I spent time in Morocco on a U.S. State Department exchange program and it made me start to think of health care from a more global point of view to see that, besides science, there are socioeconomic and cultural and political influences that all play a role when it comes to health. I'm learning about how we can guide people to make the best decisions for themselves. Right now, I'm taking a class on the foundations of health promotion and behavior, and I'm learning about how we can guide people to make the best decisions for themselves on their own. So many major health issues are preventable, whether by immunization or by promoting healthy behaviors early in life before a disease is contracted." Q. Why did you help found a UNICEF Campus Club at UGA? "I grew up Trick-or-Treating for UNICEF. When I got to UGA and saw there wasn’t a UNICEF campus club, I decided to start one. The issues that UNICEF targets are ones that connect to everybody on campus, whether you're a public health major or an engineering major or studying computer science or communications or journalism… UNICEF has something for everybody." Q. 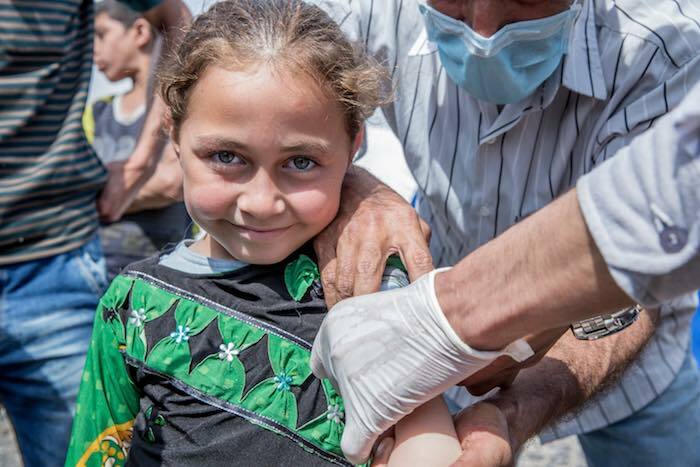 How did you become involved in advocating for vaccines and immunization? "From a young age, we’re told that vaccines are important and necessary, but because we have such ready access to vaccines in the U.S., I don't think that we fully recognize the adverse effects of not having those resources. It's really easy to only think about what's going on in your own community. But it’s important to remember that we're all global citizens." It’s important to remember that we're all global citizens. Q. What is your UGA UNICEF Campus Club planning to do for World Immunization Week this April? "With World Immunization Week 2018 starting on April 23, we, as a club, wanted to do something to engage other students on issues related to vaccines. We realized that many don’t know the details of what goes into making and distributing vaccines. They don’t know how hard it can be to reach children with vaccines in some countries, or the myths that sometimes get attached to them. We reached out to some professors and, on March 21, we held a speaking panel about immunization, with plenty of opportunities for the audience to ask questions. We covered topics like vaccine basics, development, myths, barriers to access and what is being done on the ground across the globe to combat these issues." 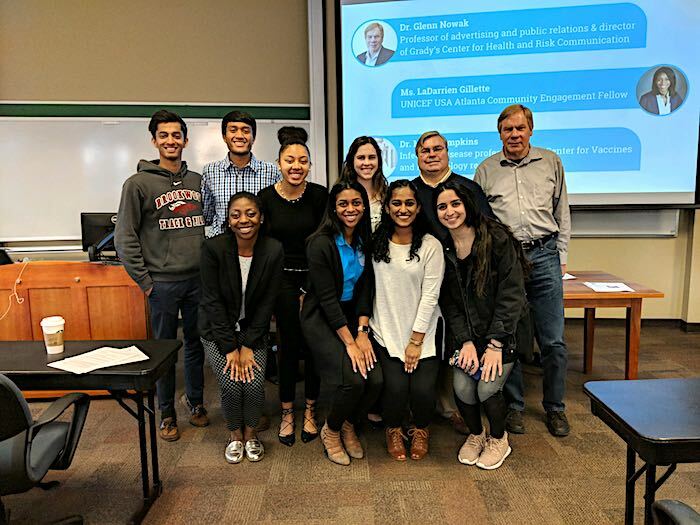 Anjali and fellow UNICEF at UGA Campus Club members convened a panel featuring professors and a UNICEF USA representative to discuss vaccines. Q. What are some of the barriers to mobilizing college students and others to support vaccination? It can be hard to unscare a person once there’s false information out there. "That idea of sharing facts rather than judging goes back to the cognitive-based philosophy of public health that I’ve been learning about in class: presenting people with the facts that allow them to make the best decisions for themselves." Q. How has your experience with UNICEF Campus Clubs and vaccine advocacy influenced you? "Being involved with UNICEF has made me even more interested in targeting health problems at their root cause rather than doing diagnoses and damage control. I’m becoming particularly interested in emerging infectious diseases like Zika. One day, I’d like to work on research and educational programs around behavior that can help prevent infectious diseases like Zika. Hopefully, by then, there will even be a Zika vaccine." TOP PHOTO: Anjali Nair, UNICEF USA Campus Club Leader and student at the University of Georgia.